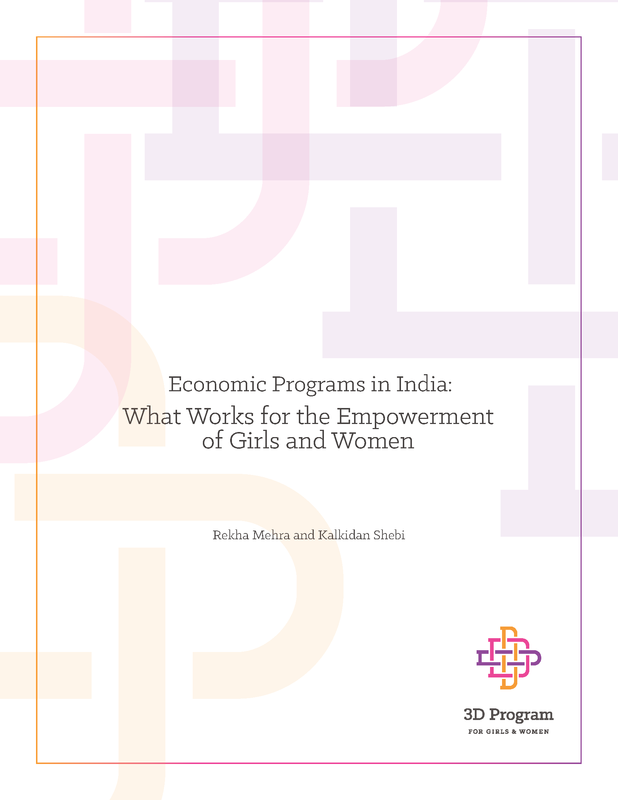 This report examines the global and Indian evidence on what works for the economic empowerment of low-income girls and women. It also presents a framework for women’s economic empowerment and the potential social and economic development impacts that can result from it. The evidence shows that when women earn and control income and assets, they and their households and societies benefit. Women who earn spend preferentially on their own and their children’s nutrition, health and education. They are also better able to save and accumulate assets, they gain mobility and self-confidence and are better able to protect themselves from violence in and outside the home. The report distills lessons learned from economic intervention programs for girls and women with a view to informing the design and implementation of the 3D Program.